One of only three SG blast fests and with the other two being Aldynes and 1941, Battle Ace was always going to be hard pushed to jossle for a place higher up the winners podium. Still BA makes a valiant attempt opting for an an internal Elite style view out from your space ship. 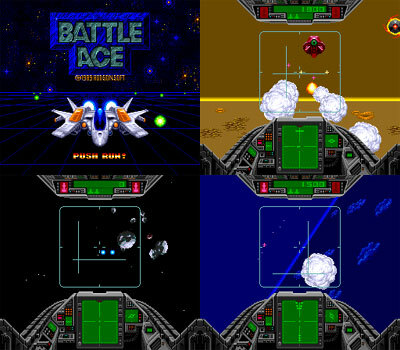 The gameplay is far less cerebral than Braben's opus, more on the lines of After Burner's Top Gun triggger happy gameplay. 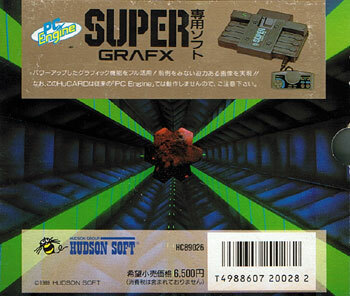 Perhaps just pushing the Super Grafx hardware a little too far? 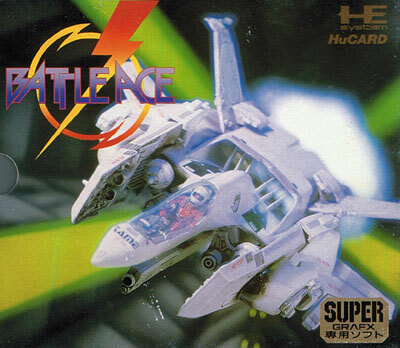 But good for a short arcade style thrill. Second hand. Please note: the card slip case is missing. Light manual cover impressions including a couple from the manual holder tabs.